AccuPLAY blackjack tables are revolutionary machines that can be adapted to play any live table game, from poker to blackjack to baccarat, and everything in between. 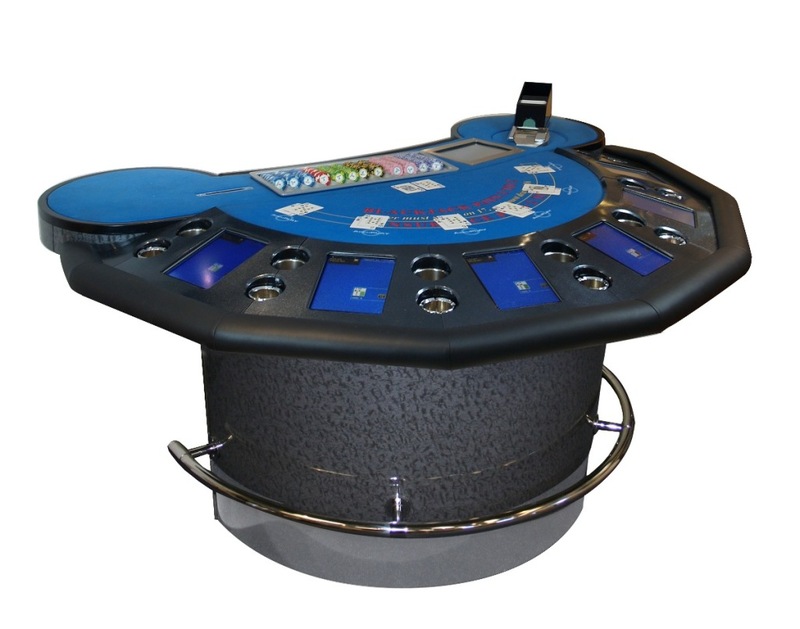 AccuPLAY are also market leaders, with machines already installed in most of the world’s biggest casinos. However, for their blackjack tables, the company decided that they wanted something a little different, a little classier, which is where Peerless comes in. After consultation with our specialist coating team, AccuPLAY decided they’d like a metallic speckled effect with a high-gloss finish for their tables. In order to meet the requirements, our team decided to mix 2-pack pearlescent powder with high-gloss lacquer. This mix was then sprayed onto the selected black plastic mouldings, creating a stunning finish.